Weasel's Journey: Boston past and present. Robert and I are in Boston for him to run the Boston Marathon today. 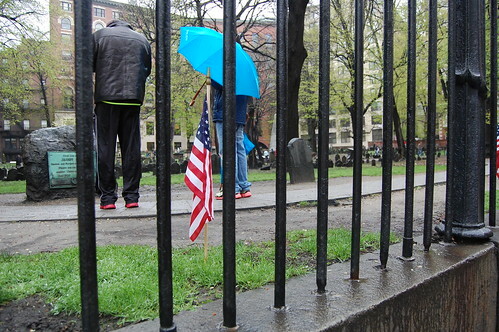 Our hotel is directly across the street from the Granary Burying Ground where John Hancock, Paul Revere, Crispus Attucks, Samuel Adams and others are buried. 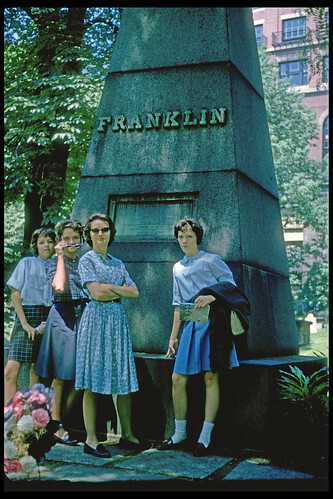 Featured prominently in the center of the graveyard is an obelisk with the inscription "Franklin," erected in 1827 to mark the grave site of Benjamin Franklin's parents. 1963 - My parents had been married a year and were living in Boston. My mom's parents and her three sisters came up for my dad's graduation from business school. My mom (second from right) is only 22 in this picture! Best of luck to your husband today! What a great photos and memories. Good luck to Robert and I love your boots! How exciting! I too love Boston. It's been too long since I've been there...I think the last time was when we took the girls up there right after Christmas to see The Boston Ballet's Nutcracker at the Wang Theatre. J1 spent a lot of time there this summer for fun weekends while she was in training class in CT, and her bff went to MIT...which again confirms that in my next life, I'm coming back as one of my kids because they get to do everything! Enjoy! I love "then and now" pictures... Check out Sumter's birthday pics on my blog a few days ago! Hope the race went well today! I think it is so awesome how you have all these precious old pictures of your family. I'll have to raid my faves from my parents when I'm home later this summer. Wow I love the old photo! Boston has so much history and I'm glad you can apply it to your own life. 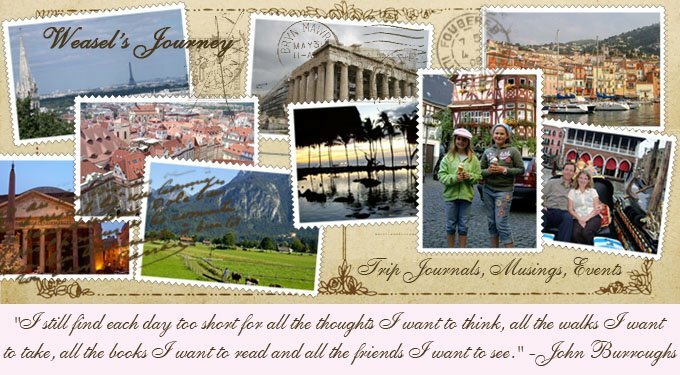 I stumbled upon your blog in a random way but really look forward to future posts! I hope this isn't creepy that I'm some random stranger! You look precious in your rain boots and jacket!! I want to visit Boston one day! 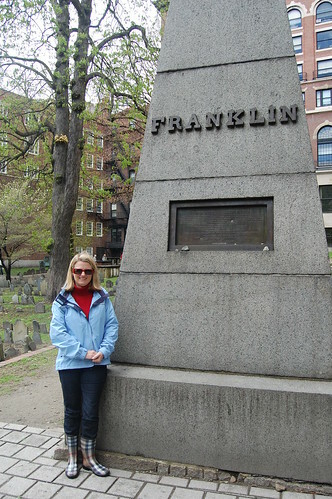 :) I love history and Boston is full of it! Snapshots from Boston, part II. Snapshots from Boston, part I. The joy of a friend. Snapshots from Hawaii 2010, Part IV. Snapshots from Hawaii 2010, Part III.